Chicago, the Windy City! It's that time again: conference time! And we'll most certainly be at AAR in full force this weekend. Come visit us at Booth 115 to check out our books and to meet our editors! We're easy to find. From the entrance of the exhibit hall, we're in the furthermost left-hand aisle towards the back. We've brought a ton of stuff with plenty of new releases and all of our books will be at discounts up to 55%! Thomas Kraft, our Theology Editor, and Kirsty Schaper, our Religious Studies Editor will be available to meet with anyone who wants to discuss book ideas. If you're already one of our authors, be sure to drop by! We always love to catch up with you. Don't forget that we'll also be at the Evangelical Theological Society in Providence and SBL in Boston right after that. Be sure to let us know if you want to meet with our biblical studies editors. The Continuum Publishing Group seek to appoint an Editorial Assistant for the T&T Clark Imprint. T&T Clark is one of the world’s leading publishers in academic theology and biblical studies with a tradition reaching back almost 200 years. We are looking for candidates with excellent organisational and communicative skills and strong academic credentials. Ideally candidates should demonstrate a love and enthusiasm for theology and biblical studies. A degree in this area and knowledge of Ancient languages would be distinct advantages. EDIT 15. November 2008: This has been closed now. We are humbled by the number of brilliant applications we have received for this position. Many thanks indeed! We hope we will be able to make an announcement soon. 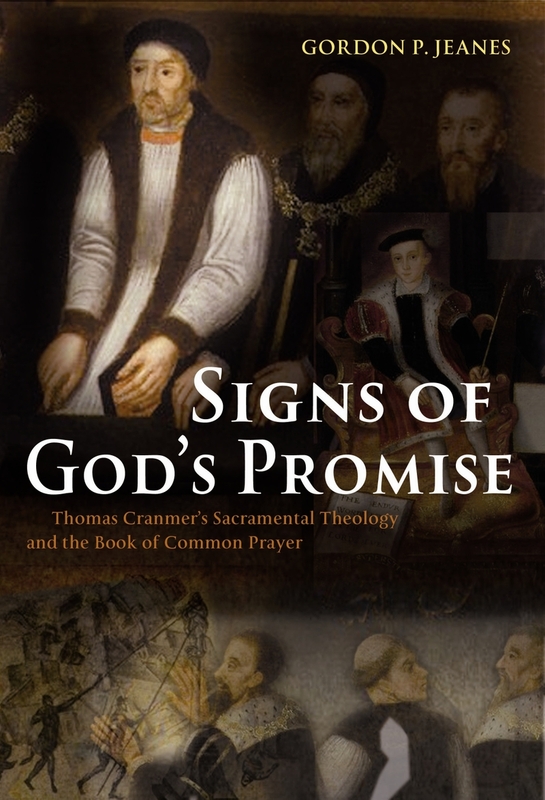 THE development of Cranmer’s thought, and its consequences for the Prayer Books of 1549 and 1552, has become a standard topic in discussing the English Reformation. Was he heavily influenced by Continual Reformers, particularly Bucer and Peter Martyr, as well as his nearer neighbour John Knox? Did his ideas evolve independently, fuelled by his vast reading, and perhaps already finding their own direction as early as 1547? Gordon Jeanes addresses the ques­tion in a work of detailed scholar­ship, referenced with a breadth of reading worthy of Cran­mer himself. Previous work has concentrated mainly on Cranmer’s eucharistic theology. Jeanes takes baptism and eucharist together: his interest began with a proposed study of Anglican baptismal liturgy. He shows that the principles behind the two sacraments are closely linked, and that the structure of the ser­vices as they appear in the succes­sive Prayer Books have many paral­lels in thought and structure. The 16th century produced bitter disputes about the sacraments on a scale comparable to disputes over the Person of Christ in the early centuries of the Church. Jeanes steers his way judiciously through the controversies. Some critics of Cranmer have found his thought negative, developed in opposition to other contemporary ideas. His sacramental ideas are not unique, but they are shown to be firm and positive. Essentially, baptism and eucharist signify, but do not convey, divine grace. The title of the book is apposite: they are “signs of God’s promise”. There is no propitiatory sacrifice, and there are no vicarious spiritual benefits for those who are present at either service without being recipients. Yet the words and actions are more than empty tokens or simple acts of obedience. The sacraments are efficacious through the faith that is already there, and the grace that faith brings. Baptism and eucharist enrich and strengthen the spiritual life of the Christian. God receives the child in baptism, the child re­ceives forgiveness and grace, and is brought into the believing congrega­­tion, whose faith is thus con­firmed. The changes in the Prayer Book services reflect the increasing empha­sis on the participation and response of the people in worship. Ceremon­ies are not to be abrogated; they are “essentially didactic aids”, a com­ment that the Prayer Book Pre­face “On Ceremonies” seems to sup­port. There will still be room for the discussion to continue. It may be that Cranmer responded to pressure from others. Perhaps the 1559 Prayer Book, with its combination of the two sentences in administer­ing communion, best represents the breadth of his thought. Some will still support the Tractarian argu­ment for a more Catholic interpre­ta­tion of the Prayer Book as we have it. But by considering the two Gospel sacraments together, Jeanes has made a persuasive case, which must be taken into account by future writers on the subject. The Revd Dr Raymond Chapman is Emeritus Professor of English in the University of London. 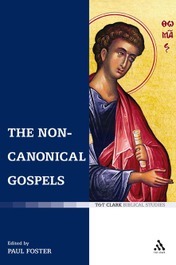 We are delighted to announce the publication of The Non-Canonical Gospels. 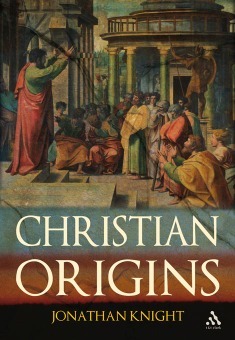 Edited by Paul Foster (Univeristy of Edinburgh), this important new work includes contributions from Christopher Tuckett (on the Gospel of Mary), Andrew Gregory (Jewish-Christian Gospels), April D. DeConick (the Gospel of Thomas and the Gospel of Judas), Keith Elliot (an overview of the non-canonical gospels and Christian apocrypha), Paul Foster (the Gospel of Peter and the Gospel of Philip), and Simon Gathercole (the Gospel of Judas - taking an opposing view to Professor DeConick). While the aim of the book is to make the current academic debates accessible to wider audience, the authors also put forward fresh perspectives on a number of points. 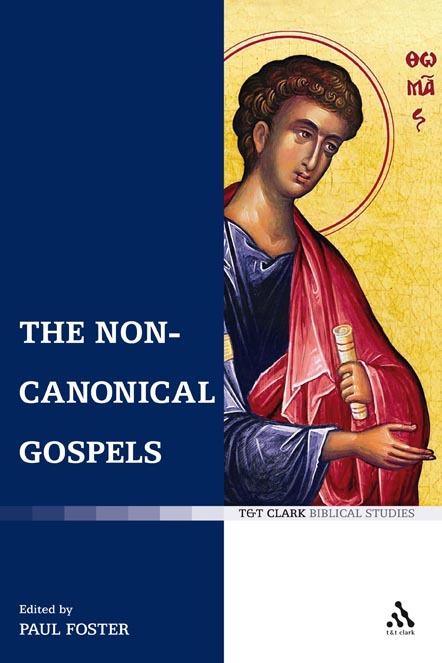 The Non-Canonical Gospels is available now in the UK and will be released in the US in November. It's been brought to my attention that an online review of Jonathan Knight's Christian Origins has been posted at kata ta biblia, a blog kept by a student of Christian origins at UCLA. Well, we finally gave in and are now on Facebook. Are we the first major biblical studies/theology publisher on there? I think we are! If you've got a profile and want to be a fan (and who doesn't? ), come join us. You'll be able to see announcements of our new releases, upcoming events, post stuff on our "wall". We promise not to send you any flair, though. That's just not our style. Earliest reference to Christ discovered on bowl in Alexandria's harbor? If you're not reading Rogue Classicism for your daily dose of news about the Greco-Roman world, I highly recommend making it a part of your morning routine. 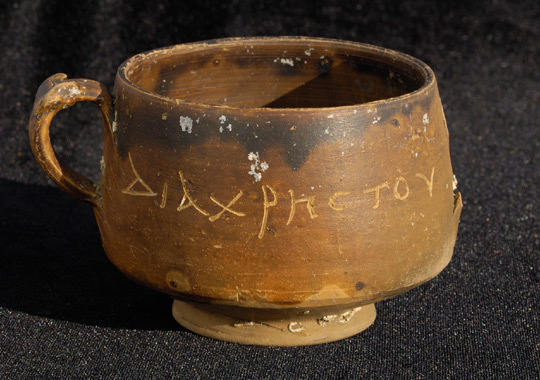 Today, RC is reporting about a bowl discovered in Alexandria with the engraving "DIA CHRSTOU O GOISTAIS". If the word "Christ" refers to the Biblical Jesus Christ, as is speculated, then the discovery may provide evidence that Christianity and paganism at times intertwined in the ancient world. "It could very well be a reference to Jesus Christ, in that he was once the primary exponent of white magic," Goddio, co-founder of the Oxford Center of Maritime Archaeology, said. He and his colleagues found the object during an excavation of the underwater ruins of Alexandria's ancient great harbor. The Egyptian site also includes the now submerged island of Antirhodos, where Cleopatra's palace may have been located. Fabre concluded, "It should be remembered that in Alexandria, paganism, Judaism and Christianity never evolved in isolation. All of these forms of religion (evolved) magical practices that seduced both the humble members of the population and the most well-off classes." "It was in Alexandria where new religious constructions were made to propose solutions to the problem of man, of God's world," he added. "Cults of Isis, mysteries of Mithra, and early Christianity bear witness to this." The bowl is currently on public display in the exhibit "Egypt's Sunken Treasures" at the Matadero Cultural Center in Madrid, Spain, until November 15. Interesting stuff! You can read the Discovery.com article, too.